AI facial recog – it's all about as terrifying as this hokey stock picture suggests (whose subject is *not* Dong Mingzhu). 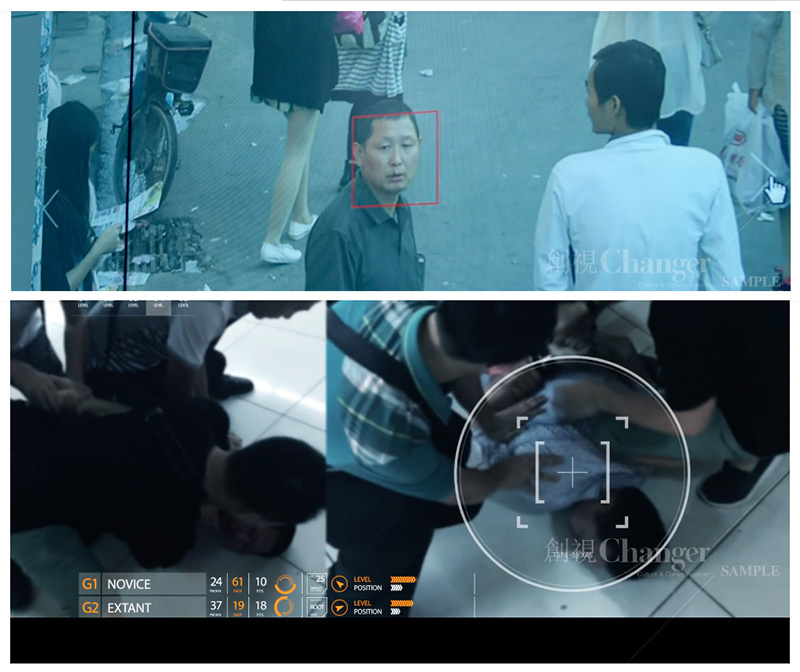 #F_AI_L An Artificial Intelligence system in China publicly shamed one of the country’s most prominent business executive for jaywalking - after spotting their mug going past on the side of a bus. Dong Mingzhu, the chair and public face of industrial giant Gree Electric is a well known public figure in China, and beyond: Fortune named her the fourth most powerful businesswoman outside the United States this year. The South China Morning Post reported that an image of Dong on the side of a bus was captured by police traffic cameras, and fed into a shaming gallery increasingly used in Chinese cities. Shenzhen was the first to adopt this method of keeping public order. Some systems go further and spray jaywalkers with water. Wouldn't you know it? The mistake of the traffic cops' system in the port city of Ningbo was spotted – on a huge "shaming" screen in the city that displays images of the unfortunates who'd been caught jaywalking on cams. Dong's company, for its part, said there were no hard feelings and thanked the force for "their hard work". "By 2025, they will be better than us. And by 2030, they will dominate the industries of AI," Alphabet chairman Eric Schmidt warned recently.